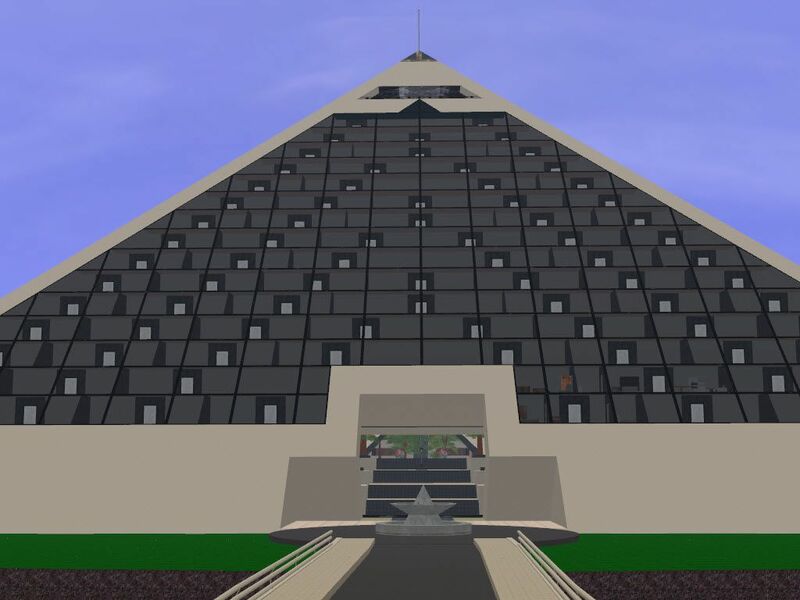 It's a pyramid! It's a hotel! It's... both!? An experiment showing how possible it is to have a 21 floor building without cell space problems. Included in your stay is a nice stroll in a low resolution town in the atrium.